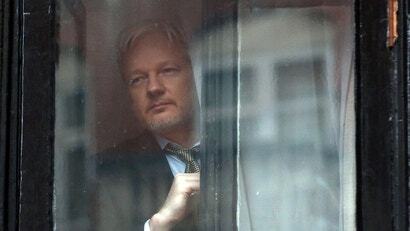 Assange has been holed up in Ecuador’s embassy in London since he jumped bail on sexual assault-related charges from Sweden in 2012. Those charges have since been dropped over a technicality, but Assange still considers himself a prisoner in the embassy despite the fact that he’s free to leave at any time. Assange has maintained for some time that he fears he’ll be extradited to the United States where prosecutors have filed unknown criminal charges against him. Back in January of 2018, Moreno called Assange a “nuisance” and an “inherited problem.” Ecuador’s previous president, Rafael Correa, was the one to originally grant Assange asylum and Moreno has seemed far less tolerant of Assange’s provocative behaviour. WikiLeaks has suggested that Moreno’s real problem is that Ecuador’s alleged corruption has been exposed through the so-called INA Papers. Moreno is facing a corruption investigation brought by a rival lawmaker who suggests he took money from a Chinese company for a hydroelectric dam project. The money was allegedly laundered through a shell company in Panama, according to Venezuelan state media. Assange previously said that he would leave the embassy in London if whistleblower Chelsea Manning was released from prison. President Barack Obama commuted Manning’s sentence shortly before leaving office in 2017, but Assange went back on his promise and said that President Obama only did it to make Assange look like a liar. Last month, Manning was placed back in solitary confinement, a punishment considered to be torture by prisoner advocacy organisations, for refusing to answer grand jury questions about WikiLeaks. WikiLeaks often tweets far-right talking points these days, and Assange has proved to be an unlikely ally of authoritarian-minded leaders around the world, like President Donald Trump and Russian President Vladimir Putin. Assange has reportedly turned down dirt on the government of Russia, and the WikiLeaks Twitter account exchanged DMs with President Trump’s son Don Jr. in the lead up to the 2016 presidential election. That communication continued after the election as well, when WikiLeaks suggested that President Trump himself should appoint Assange to a position as an Australian government official. Assange’s worldview, already strange by any normal human standards, has led his behaviour to become more and more bizarre the longer he stays in the embassy. As just one example, the WikiLeaks team released a statement this past January with a “confidential” list of things that journalists were forbidden from saying about Julian Assange. The list reads like the rantings of someone who’s truly unhinged.